Trombonist Joe Fiedler staked his claim as disciple of Albert Mangelsdorff with his previous Clean Feed release, Plays the Music Of Albert Mangelsdorff. That he’s no mere epigone is reinforced by his latest trio release, The Crab, featuring bassist John Hebert and drummer Michael Sarin. Born in 1965 and based in New York since 1993, Fiedler has worked in an eclectic range of settings including pop, Afro-Caribbean (Celia Cruz, Eddie Palmieri) and jazz (Andrew Hill, Konitz, Braxton, Cecil Taylor), and he’s a member of Fast And Bulbous and the big bands of Satoko Fujii and Charles Tolliver. Fiedler is a leading practitioner of the multiphonic techniques pioneered by Albert Mangelsdorff and Paul Rutherford, and this album is replete with growling Multiphonics—especially and unsurprisingly on “For Albert”—and bold intervallic leaps. The tightly meshed and muscular trio features Hebert’s funk-infused vamps, for instance on “Don’t Impede the Stream.” “Trout Stream” features Fiedler’s supremely strong mute work. Like Mangelsdorff, he aims to ally a sense of drama and humour with his use of extended techniques. The problem is not with them, but with a slight sense of metrical over-complexity and fussiness to the arrangements. 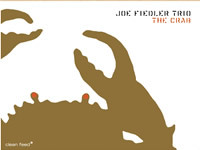 Fiedler has a range of tonal variation, which means he can’t be accused of the un-trombone-like dryness of the bebop instrumentalists, but somehow that seems to be the underlying feel—though the recording could be a factor here. On some listens I haven’t liked this album, but I’m enjoying it right now.